Preview: Season 0, Episode…31 Again? Since last time we spoke on this series, I changed around the episode numbers a little bit. After the Fight, the Sonic Forces Special which does include a single event contemporary to the story, no longer counts towards the Season’s episode count, and is instead its own separate entity. It’s still located in the same place, it just isn’t numbered. The result of this is that all episodes thereafter had their number lowered by one, making what I once called 31 into 30, and this, which would have once been 32, into 31. Why did I do it? Well, like I said, that episode was very unusual for the story as a whole, taking place 100% in the past, so it makes sense that it wouldn’t count. I may have flashback episodes in the future, but there will always be a base in the present. But…perhaps the more important reason is that this way, the Season will now end at a nice round 32 episodes. That’s right. This is the next-to-last episode of the Season. But enough of all that, you came here for a preview, right? Behind Shadow, Infinite growls and clenches his hand around his blade. “That’s right.” Somewhat hesitantly, Shadow pulls something out and holds it up high for Blacklight to see. It’s a shiny red apple. Shadow lets out another sigh, realizing that there will be no easy way out. Behind Shadow, Infinite suddenly shouts, “We will!” Sword drawn, he charges alone out of line. Immediately, Hero runs after him, raising his Wispon in preparation to back him up. Blacklight merely laughs, extending his arms wide as a command for his entire army to charge in response. Havoc erupts on the battlefield. The final battle has begun. -And until next time, remember to live and learn every day! 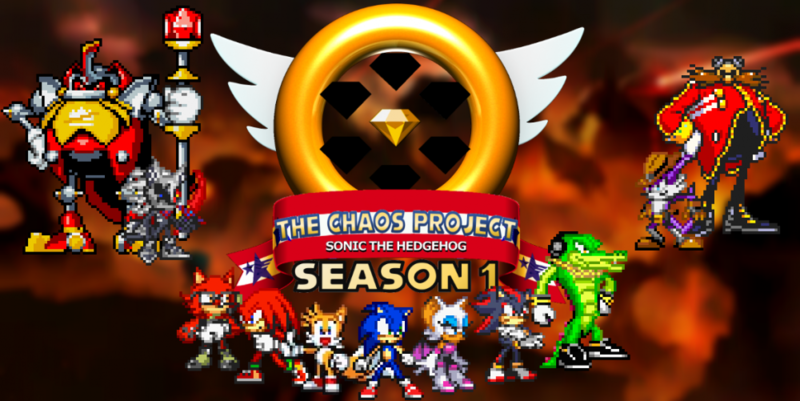 This entry was posted in Preview and tagged Amy Rose, Animoid, Blacklight the Hedgehog, Chaos (Sonic Adventure), Chaos the Hedgehog, Charmy Bee, E-123 Omega, Espio the Chameleon, G.U.N., Hero the Wolf (Avatar), Infinite the Jackal, Knuckles the Echidna, Mephiles the Dark, Metal Sonic Group, Miles "Tails" Prower, Null Space, Rouge the Bat, Shadow the Hedgehog, Sonic Forces, The Chaotix, The Phantom Ruby, The Ruby Blade, The Wispon, Vector the Crocodile, Virtual Reality Replicas, Zavok by Chaos Project. Bookmark the permalink.